The European Veterinary Society for Small Animal Reproduction has been established with the objective to further scientific and clinical progress in veterinary and comparative companion animal reproduction, pediatrics and neonatalogy. It's an international nonprofit organization. 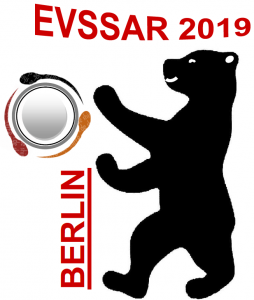 Currently, EVSSAR has 210 members from European and non-EU countries. Even though the emphasis is on reproduction of companion animals, other species such as laboratory animals,exotics and wild or zoo species are also considered as species of interest to the Society. by encouraging, promoting and facilitating knowledge and skills related to companion animals and related species. by encouraging further and post-academic education, in collaboration with the ECAR and other national and international societies. by encouraging collaboration and discussion between scientists and veterinary practitioners. by promoting and influencing legislative aspects of small animal reproduction.